Gordon Ramsay said Sweet Mandarin is ‘a culinary jewel’. 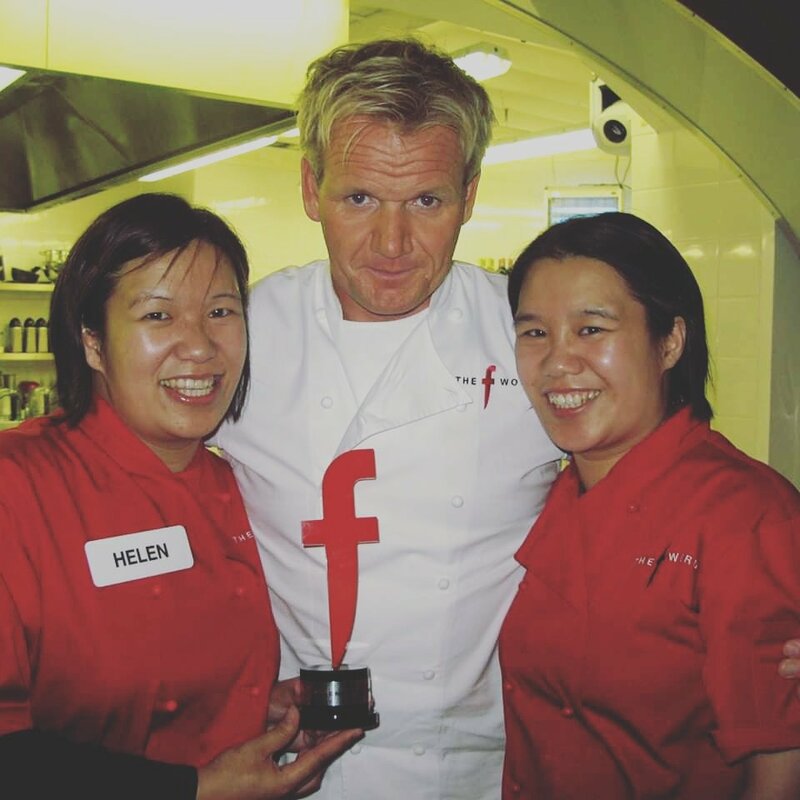 Today we celebrate 10 years since our F Word Win (Best Local Chinese Restaurant beating 10,000 other Chinese restaurants) on Gordon Ramsay’s TV show. What’s he like in real life? Amazingly he doesn’t swear and is a lovely person, supportive of our restaurant, our cooking and a friend. I did actually wonder whether he was the real Gordon Ramsay given he’s more famous for swearing left, right and centre. We finished service at Sweet Mandarin at midnight and after just two hours of sleep we were picked up by a shiny black car and driven to a secret destination in London. We were whisked into a fancy kitchen with a boiling hot Aga and told we had just one hour to prepare our squid for 50 people. We cooked Salt and Chilli Squid 椒盐鲜鱿 for the final – one of three dishes that helped us win the competition. As we raised the trophy, I swear I could hear the Rocky IV theme tune “Eye of the Tiger” belting out. We’re proud to bring the trophy back to Manchester and in honour of the people of Manchester who have supported us all these years.